There is a word we are all beginning to hate: green. Everyone is on the wave of a new catchy era. Let’s go green for the planet. Few can back it up. Especially businesses. People will shop green and some don’t even bother to check facts. For the last 5+ years Ink and Toner Solutions, Inc. has been providing an alternative to buying cartridges from the original manufacturers and then throwing out the large hunk of plastic. Recycle. Send them to industries whose sole purpose is to clean, rebuild, refill and reuse this plastic piece and return it to the world as a remanufactured ink or toner, ready to serve our office needs again. It is a sustainable process thus created. Very little waste and money and landfills saved. But that’s not all we do as a small business. We can do more. All packaging materials are saved and reused in deliveries to customers and returns for recycling. Including the internal packing bags of air and Eco-friendly peanuts. Our local deliveries are either done on foot or by local bike currier if the order is small. Customers also enjoy the excuse to get out and walk down main street and pickup to avoid shipping. We love this enthusiasm. Another thing is our resident techie, Ed will walk to local businesses and if out of range he uses a zip car Prius. And we’ve upgraded to L.E.D. lighting. What is setting our business apart from larger competitors is that we are actively supporting local businesses. We are responsibly recycling our returns and the more our community recycles with us, the lower our prices get. Which, in the way of everything green, is only natural. Some things change and some will always be the same as we first knew them. Currently at Ink and Toner Solutions, Inc. we are facebooking, tweeting and now blogging. Our printer products are constantly being innovated and refined by our remanufacturers and are getting more streamlined every day. 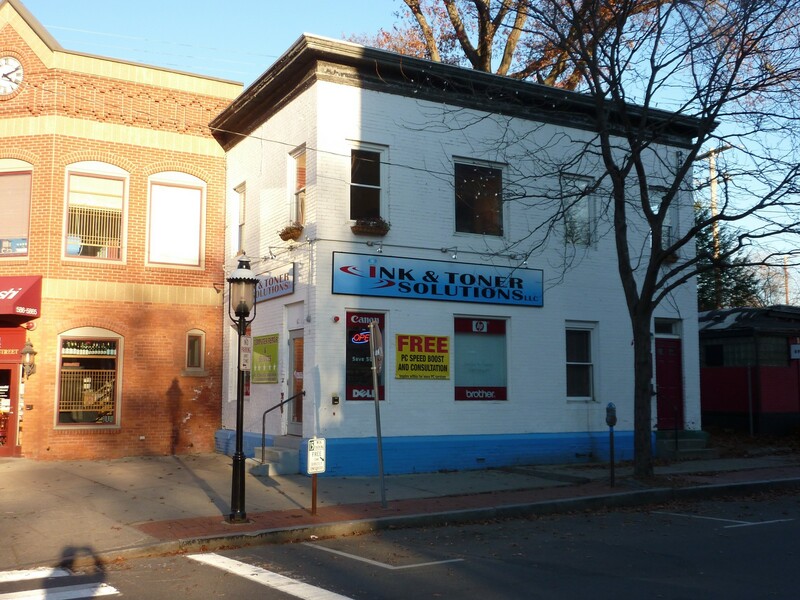 Our store has changed from two locations down to a simple white building in historic Northampton for convenience of customer and employee. Our employees are now more specialized and more relaxed. We have fun with our work now. We are all doing what we love. We threw out the pushy sales people. We are donating part of our time to working with more local charities and promoting their needs as much as possible. We even started playing music in the store and put out some treats. Yes, we are growing and learning and moving things around but while we do, the main idea is still the same: We value, respect and appreciate our customers and are thankful for every chance we get to serve a wonderful product that helps the Planet. Thank you very much for buying locally.